HECETA BEACH OCEANFRONT CABIN. 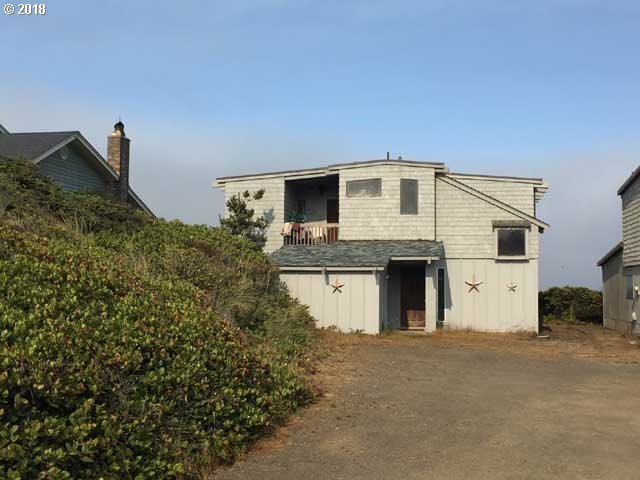 A rare opportunity for family & generational memories of long walks on renowned Heceta Beach. Splash & play in the ocean, then cozy up in this woodsy 2-story cabin with 2 master suites & reverse living floorplan. Woodsy exposed beam & tongue & groove ceilings. Wide open beach & ocean views for miles!